As many parts of the country shivered through the polar vortex, the Occupational Safety and Health Administration (OSHA) advises construction workers to be vigilant about signs of cold stress. Prolonged exposure to cold temperatures could cause significant health impairments like trench foot, frostbite, and hypothermia. To protect your workers, provide electric heaters for your construction sites. We offer affordable electric heaters that produce no fumes or moisture and are safe to use in small spaces without ventilation. OSHA recommends encouraging workers to take regular breaks in heated spaces to warm up. Encourage workers to wear appropriate clothing, including layers. Avoid exhaustion and fatigue, as the body requires energy to keep its muscles warm. When possible, require workers to work in pairs, so they might be alert to signs and symptoms of cold stress in the other. Educate workers on the signs and symptoms of cold stress and emergency procedures to address them. It can be a dangerous time of the year. We want you to be safe and warm. 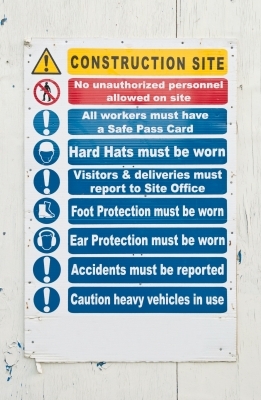 Let us know how we can help keep workers safe and your projects on schedule.